04.19.17 :: Categories: Indian Point. Tags: baffle bolts and Indian Point. News Types: Press Releases. BUCHANAN, NY — A little more than a year after an inspection of Indian Point nuclear plant’s Unit 2 reactor found an unprecedented number of “reactor core baffle bolts” to be either missing or impaired, an inspection of Unit 3 has found an even higher number of these critical bolts impaired at that reactor. Those bolts are being replaced while the reactor remains shut down for refueling. Entergy announced last week that at least 256 of the 832 bolts that keep the inner plates of the reactor core from coming apart were impaired at Unit 3, degraded by the high levels of radiation inside the reactor. In addition, Entergy said three bolts could not be tested and 11 others were replaced. The condition of those 11 bolts is currently unclear. In all, Entergy says 270 bolts, roughly a third, will be replaced. The purpose of the reactor plates is to direct cooling water through the fuel assemblies and allow control rods to be inserted into the reactor in order to safely shut down the plant. In 2016, after 227 of the 832 bolts holding together this critical structure inside the Unit 2 reactor were found to be either degraded or missing, Riverkeeper registered its objection that the Nuclear Regulatory Commission allowed Indian Point Unit 3 to operate without determining whether bolts in that reactor were similarly degraded and in need of replacement. The NRC is obligated to provide adequate assurance of safety at this troubled plant. The extremely large number of failed bolts found in the Unit 3 reactor raises questions regarding the reliability of Entergy’s plant safety prognosis. The discovery indicates, in retrospect, that Unit 3 was operating under “unanalyzed conditions,” and was in danger of being unsafe to operate. Riverkeeper demands that the NRC issue an incident report regarding the missing bolts in the Unit 3 Reactor to ensure that the reactors do not again operate without adequate assurance of safety. The organization is also asking the NRC to conduct and provide to the public a root cause analysis to determine what led to such a high rate of failure and why Entergy’s predictions about the bolts were so wrong. 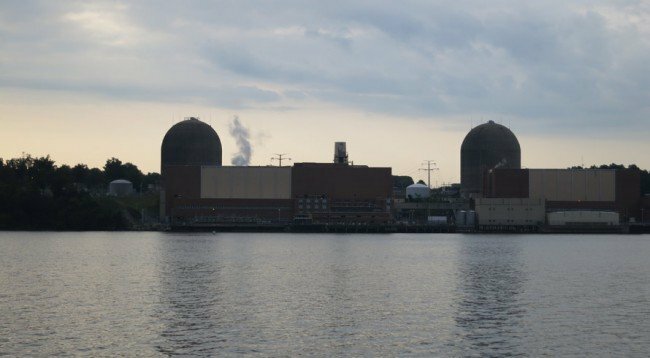 Through an agreement between Governor Andrew M. Cuomo’s administration, New York State Attorney General Eric Schneiderman, Entergy and Riverkeeper, Indian Point’s Unit 2 and Unit 3 reactors are scheduled to close in 2020 and 2021, respectively. “It’s becoming obvious that the troubles of both reactors are the result of a shared, integral design flaw coupled with inadequate inspection and maintenance. The consequences of this flaw just cannot be overstated,” said Gallay. “These problems aren’t going away because the plant is scheduled to shut down. It’s incumbent on the NRC to ensure the safe operation of the plant over the next four years of operation and for the decades of decommissioning that will follow. What havoc can these damaged bolts create? Loose pieces may cause damage to critical components such as fuel rods, valves, and control rods inside the reactor. Degraded bolts can lead to damage to the core structure and eventually the fuel. Here’s one scenario: If degraded bolts allow the core baffle and former plates to separate, makeup water supplied to the reactor vessel by the emergency core cooling systems could flow through these openings instead of flowing through the reactor core. If enough makeup flow bypasses the reactor core, the nuclear fuel will overheat and become damaged. The result: lots of radioactive material is released from the damaged fuel rods and out of the reactor vessel through the ruptured pipe.